When you choose natural hair care products for your Locs, they should be quality enough to help you keep your hair at its healthy best. There are various products that can help you repair and maintain healthy hair. African American hair has a different texture than other types of hair, and so, it needs hair care products that are targeted toward its unique texture. African American hair tends to be brittle and dry, occasionally weak and very curly. If you use natural hair care products, your hair will grow more normally, and you can avoid some of the stresses that over-styling causes. Hair care products that are formulated for African American hair should be used regularly, including taking time to shampoo and do a deep conditioning at least once a week. You should use a moisturizer such as a natural hair oil or leave in conditioner at least 3 times per week. Shampoos that you use should be made without any type of alcohol, because this can dry out your hair. African American hair will benefit from moisturizing conditioners that do not contain sulphates. Find hair care products rich in protein to replace lost moisture and prevent the breakage of hair. Natural shampoos and good nutrition will help to lead you to overall hair health. Shampoo can be a help or a hindrance to healthy African American hair. The wrong kind of shampoo can strip your hair of natural oils, which are replaced when you use a conditioner. The proper shampoo will add moisture to your hair just as well as a good conditioner will. Be sure that you always rinse well with water, as this will remove any remaining dirt or debris, before you use a conditioner. Select shampoo products that have organic and natural ingredients, and a minimum of artificial ingredients. In this way, you can maintain a healthy balance of natural and artificial oils in your hair, so that it remains – or becomes – bright, shiny and healthy. Healthy African American hair care is not just about what brand of shampoos and conditioners you might use. It also involves taking care of your mental and physical health. Having a positive attitude about your hair and eating halthy in addition to exercise helps hair grow healthy. Chemicals that you should avoid in shampoos and conditioners include sodium laurel sulfate, propylene glycol and any parabens. These chemicals may have harmful effects on your hair, and you’ll need to read labels closely to find natural hair care products with none of these ingredients in them. Shampoos are designed to clean hair and conditioners to replace oils, so it is generally not a good idea to use all-in-one products. These products attempt to do both things at once, with the end effect of doing neither one well. Shampoos help to open your pores and clean built-up pollutants, dirt and oil. Conditioners close the follicles’ scales back down and fill the follicles with protection and clean moisture. You need to be sure to do both steps, regardless of the type of hair you have. Like many women, I knew during my pregnancy that I was going to need a low maintenance hairstyle when it was time to welcome my baby. Going natural and giving your hair the love and attention it needs is a long journey, and I didn’t want it to suffer any neglect while I was busy with new mommy responsibilities! So with the support and help of the talented Kari Williams of Mahogany Hair Revolution, I was able to protect my natural hair and sport a new style for summer. 1. It’s a protective style. Obviously the big draw to braids is that it’s a protective style. What makes me flock to a protective style right now is the fact that during pregnancy and afterward you can lose hair. Braided hair helps keep that from happening as well as helping to prevent breakage, which I’ll talk about next. It can be difficult for many people to find quality African American hair care products. Herbal and organic products will help you to maintain healthy hair. Books could be written about the chemicals that are added to many hair care products. In fact, at least one book has been written on this topic, and it gives you a look in close detail of the many additives that could be in the ingredients of the shampoos you buy. You can order it by clicking HERE. Synthetic materials are also added to some products for African American hair. 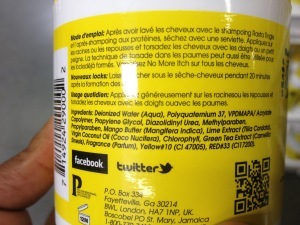 Even what looks like natural ingredients on the label may actually be synthetics. One of these misnomers is a synthetic jojoba oil that is used instead of the original in some products. Aloe vera is sometimes watered down, as well, before it is added to the hair care products you buy. In some products, natural ingredients are not for the better. People who have allergies to natural products may even shop for products that don’t have all-natural ingredients in them. Synthetic blends of ingredients may be helpful in those cases. You will normally want your hair care products to have minimal dyes and fragrances added. You can find effective cleansing shampoos and conditioners among herbal product that are available for African American hair. These products are all designed to help you to maintain your natural hair style and they promote the growth of healthy hair. True herbal products that are all-natural will have no artificial cleansing agents, surfactants, preservatives or fragrances. Herbal products may well include natural formulas, with proteins, sunscreen, minerals, organic extracts and herbs included. Make sure you look for products made with no sodium laureth, which helps shampoos to lather, but which is also hard on your hair. Safe and natural conditioners that are sold as herbal products should contain similar ingredients as herbal shampoos. Henna is included in some products, and they are made from the desert plants’ powdered leaves. Henna should be 100% organically grown and natural. There should be no artificial colors, synthetic additives or pesticide residues. Henna products will coat your hair and seal in the oils, giving your hair a healthy shine. Henna by itself does not have hair lightening properties, so choose a shade that complements your existing hair color. Natural henna herbal products will have effects lasting up to three months. When you are seeking to promote healthy hair growth, use organic and natural hair care products. Many conditioners and rinses have chemicals that can damage African American hair. Regular shampooing and conditioning with all-natural products will help to keep your hair beautiful and healthy. Select products with essential oils, panthenol, biotin, vitamins A & E, keratin, coconut or jojoba oils and wheat germ. Massage your scalp as you shampoo, because this helps energy flow and aids in good circulation. When possible, avoid using hot curling irons and hair dryers, because letting your healthy hair dry naturally will help it to stay full and luxurious. Before you go out and purchase the first natural black hair care product with “EO” or “Essential Oils” printed on the label, there are a few facts that I would like to share with you to help you make an informed decision on transitioning to natural hair by using Essential Oils, or EO’s. There is never a lack of helpful ingredients that make our natural hair look and be its best. From co-washes, to deep conditioners, to hair gels and moisturizing oils, there is a vast array of necessary ingredients for natural hair for us to choose from. If you know anything about natural hair care, you have probably heard about using essential oils as a means of moisturizing hair and promoting hair growth. Alongside hearing about essential oils, the world of natural hair care also promotes using carrier oils. So, in knowing about these two sets of oils and the role they both play in natural hair care, the key question to ask is: what is the difference between these oils and how do they work? What is an Essential Oil and What is a Carrier Oil? Let’s first begin with the definition of essential oils and carrier oils. According to Wikipedia, and many other sites: “Essential oils are volatile and liquid aroma compounds from natural sources, usually plants. Essential oils are not oils in a strict sense, but often share with oils a poor solubility in water. Essential oils often have an odor and are therefore used in food flavoring and perfumery. Essential oils are usually prepared by fragrance extraction techniques such as distillation (including steam distillation), cold pressing, or extraction (maceration). Essential oils are distinguished from aroma oils (essential oils and aroma compounds in an oily solvent), infusions in a vegetable oil, absolutes, and concretes. Typically, essential oils are highly complex mixtures of often hundreds of individual aroma compounds.” And carrier oils are defined as: “A base oil or vegetable oil used to dilute essential oils and absolutes before they are applied to the skin in massage and aromatherapy. Should You Include Essential Oils in Your Hair Care Regimen? When you make the decision to use essential oils as a part of your hair care regimen, and then use carrier oils alongside them, the first essential oils you should start with are: Lavender, Chamomile, Rosemary, and Tea Tree oil. Tea Tree essential oil is a great moisturizer for your hair, it helps to keep your scalp free of bacteria and fungal problems. And the first carrier oils you should use are olive oil, coconut oil, and jojoba oil. Olive oil helps in preventing as well as curing hair loss. Coconut oil softens hair and increases shine. Jojoba oil moisturizes the hair, adds nutrients, and stimulates the scalp. Why Would You Use Essential Oils and Carrier Oils Together? There are many reasons why you would use these oils together, but the most important reason people use essential and carrier oils is for their effectiveness in stimulating the scalp and promoting hair growth. As wonderful and effective as essential oils are in the world of natural hair care, they are quite ineffective if they are used in the hair all by themselves. In fact, if you apply any essential oil directly to your scalp you run the risk of having a skin irritation. You can combat this by mixing your essential oil with water. Or you can add a few drops of any essential oil to your shampoo or conditioner for added moisture. When you choose to place essential oils into your bottle of shampoo or conditioner the result will be a new level of moisture in your wash, co-wash, and deep conditioner hair washing routine. Another, and more effective and purposeful, way to use essential oils is to mix them with carrier oils. This is where carrier oils play a vital role. For example, a solution of lavender and rosemary mixed with jojoba and olive oil can be used as a hot oil treatment. In this type of treatment, you would apply the oil mixture directly to your scalp, put on a plastic cap and then a towel or heat wrap to cover your head, and leave it on for 30 minutes or more. You can even leave the oil on your scalp overnight for extra moisturizing. You must make sure that you wash out all of the oil from your hair when you are rinsing because oils have a tendency to weigh natural hair down, making it heavy and lifeless and limp. Also, if you manage to not rinse out all of the oil and leave most of it in your hair you may think that it’s of no consequence because it’s oil and leaving some of it on will only add more moisture to your skin. However, when you leave too much of the oil in your hair after a hot oil hair treatment, the final result or style of your hair will not only be limp, but also it will be a greasy mess that will show up on your face, neck, back of your neck, or even rub off on your clothes or hands if you touch your hair at some point of the day. 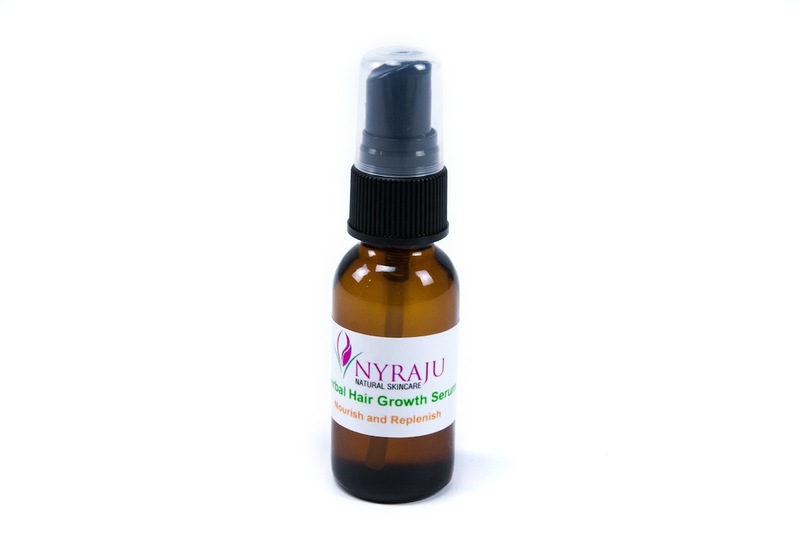 Alongside stimulating hair growth in natural hair, essential oils and carrier oils are also favorites for preventing hair loss, promoting a beautiful shine, and helping to keep your hair moisturized. The benefits of using essential and carrier oils for natural hair care go very far and will produce lasting effects for a healthy head of hair. And isn’t this our number one goal – to have healthy natural hair. As with anything new that you are trying on your hair and scalp, always test it on a small area of your hair and wait for about 24 hours to evaluate the results. When using various essential and/or carrier oils you may have an allergic reaction, like itchy scalp or redness in the area, and not even realize you have the allergy at first. If you find that you have an allergic reaction, do not use that particular essential or carrier oil. Try another supplier, it could be that what you think is a pure oil is not. If after trying several suppliers, you find that you’re having the same reaction, you could indeed have an allergy to this particular oil. Some professionals will tell you NOT to use the Jamaican Mango & Lime Locking Gel, while other Dreadheads will say it’s their favorite product; so who do you listen to? The facts. Deionized Water– Good Ingredient – Used as a solvent. Polyquaternium 37– Cautionary Ingredient – Used to keep down fly-aways due to static electricity. Also used as a hair fixative, so this means it can build up in your hair with repeated use, making it sticky or crunchy. VPDMAPA/ Acrylate Copolymer– Cautionary Ingredient – Film-forming/ plasticizing polymer. Can build up and get sticky. Propylene Glycol– Cautionary Ingredient – Is a form of mineral oil, an alcohol produced by fermentation of yeast and carbohydrates. Humectant that is a clear, colorless, thick liquid that can also be used to dissolve ingredients and carry moisture in a product. Diazolidinyl Urea– Cautionary Ingredient – Preservative that has had some controversy for being a formaldehyde-releasing preservative that can cause skin irritation. Works best against molds and yeasts but it needs to be used with other preservatives, such as parabens. 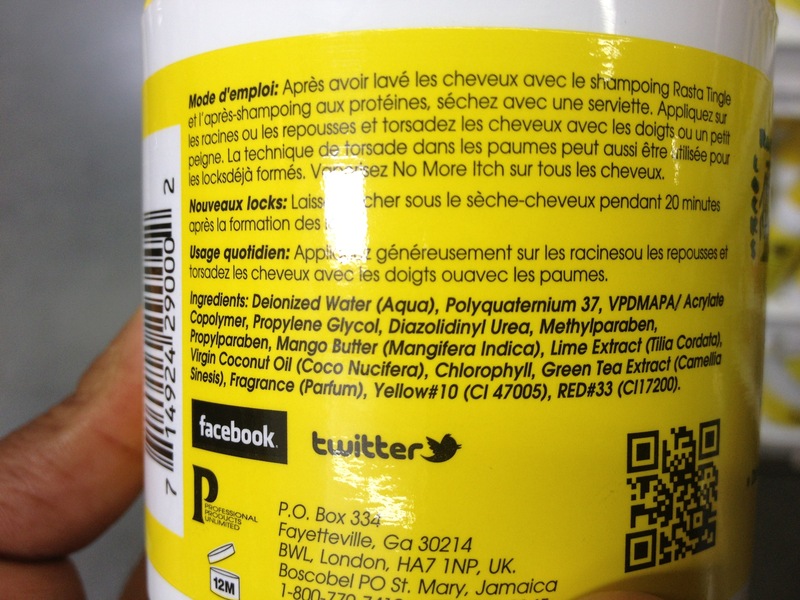 Methylparaben– Cautionary Ingredient – A food grade preservative that is potentially harmful. Proplyparaben– Cautionary Ingredient – A food grade preservative that is potentially harmful. Mango Butter (Mangifera Indica)– Okay Ingredient – Used for conditioning and as a humectant. Lime Extract (Tilia Cordata)– Avoid Using Ingredient – Can be drying to the hair and irritating to the scalp and it may cause skin irritation and/or sun sensitivity. Virgin Coconut Oil (Coco Nucifera)– Good Ingredient – Very good moisturizing oil. Can penetrate the cortex, so it may be able to make hair stronger. Chlorophyll– Okay Ingredient – Classified as not expected to be potentially toxic or harmful and its not suspected to be an environmental toxin. Green Tea Extract (Camellia Sinesis)– Good Ingredient – Green tea comes from the leaves of an evergreen bush or small tree from Asia. It is soothing and can reduce inflammation on the skin but it can’t do anything for the hair. Fragrance (Parfum)– Cautionary Ingredient – The word “fragrance” or “parfum” on the product label represents an undisclosed mixture of various scent chemicals and ingredients used as fragrance dispersants such as diethyl phthalate. Fragrance mixes have been associated with allergies, dermatitis, respiratory distress and potential effects on the reproductive system. Yellow #10 (CI 47005)– Okay Ingredient – Yellow food coloring found in products for teeth, bath products, conditioners, and shampoos. Red #33 (CI17200)– Okay Ingredient – Red coloring ingredient used in lipstick and blush. I would not recommend using the Jamaican Mango & Lime Locking Gel in locs because it can cause build up in the locs, as identified within the first 3 ingredients, and there are many additives in the gel that are not beneficial to the hair Additionally, the Jamaican Mango & Lime Locking Gel also contains a lot of parbens which are known carcinogens. 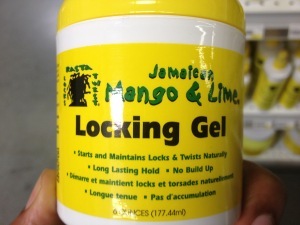 Original post appeared on CurlyNuGrowth.com – http://curlynugrowth.com/jamaican-mango-and-lime-locking-gel-product-knowledge/.